Price: Rs. 1500/- Please Call for availablility before you book any Event/Trek, to avoid 5% Transaction Charges. 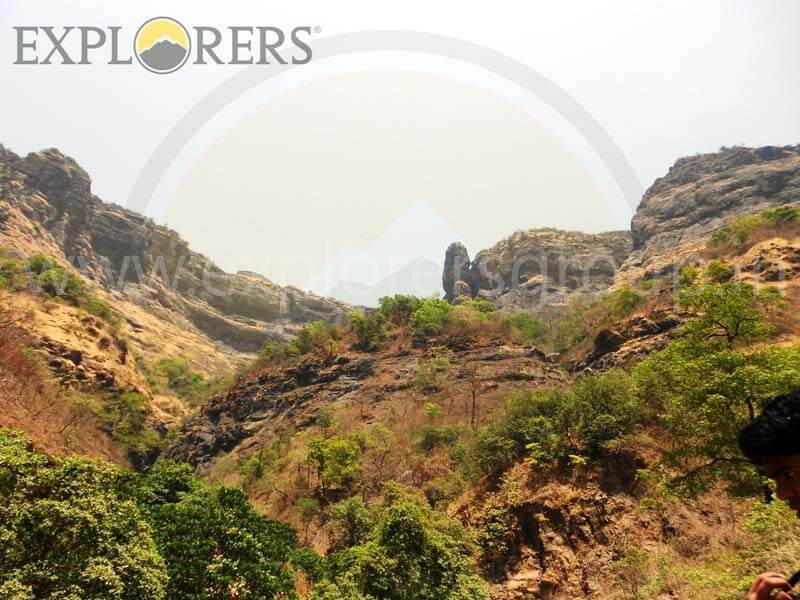 Rising 3000 feet above sea level, Sandhan Valley is a deep natural crack in the scenic sahyadri mountains of Maharashtra. 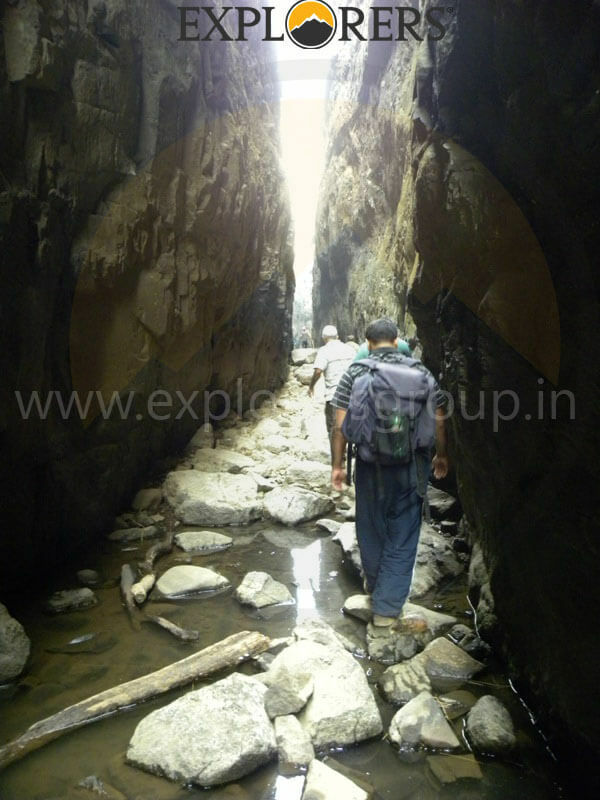 Sandhan valley is located near beautiful Bhandardara region near village called Samrad. 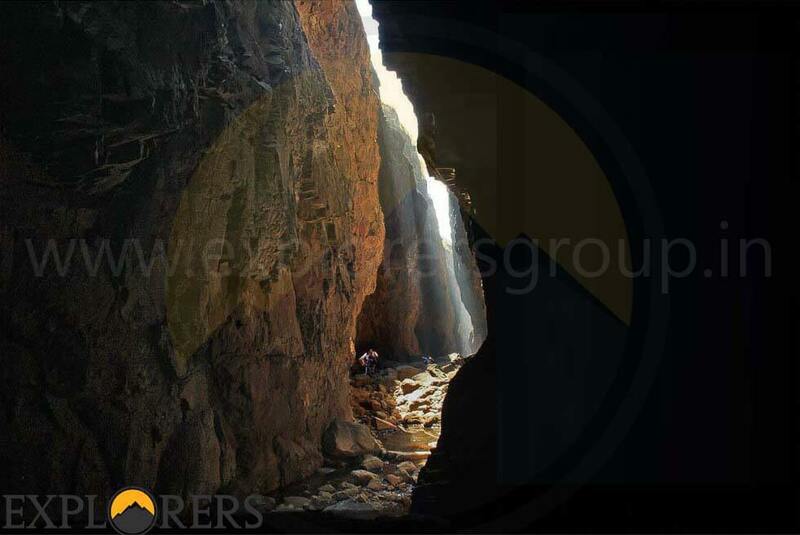 Imagine walking along a 300 ft deep gorge carved by water over a million years, as sunlight flickers though the moss-covered crevices and the sound of your breath echoes against the narrow walls. 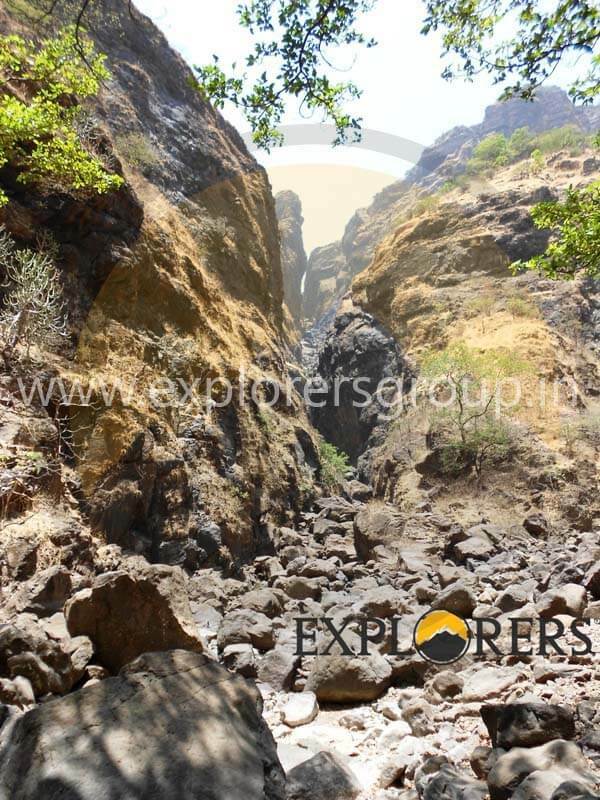 At the enigmatic Sandhan Valley – affectionately known as Maharashtra’s very own Grand Canyon – this mesmerizing experience is what awaits visitors. 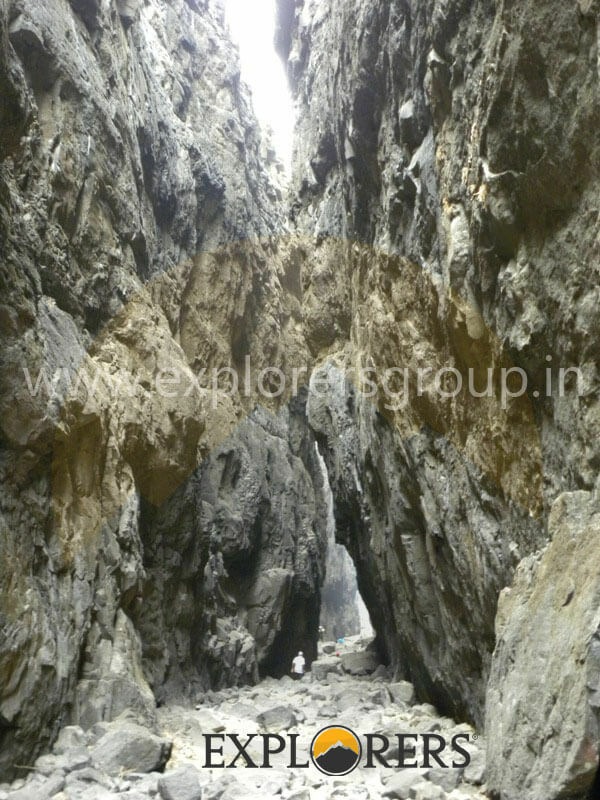 Please Call for availablility before you book Sandhan Valley Trek, to avoid 5% Transaction Charges. 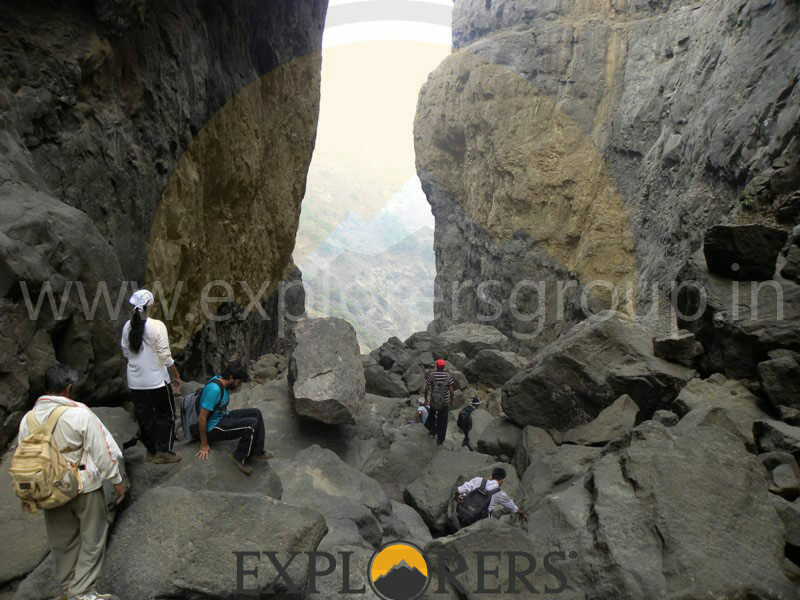 Last date of registration for Sandhan Valley Trek: Three days before the date of Departure or Till seats left. 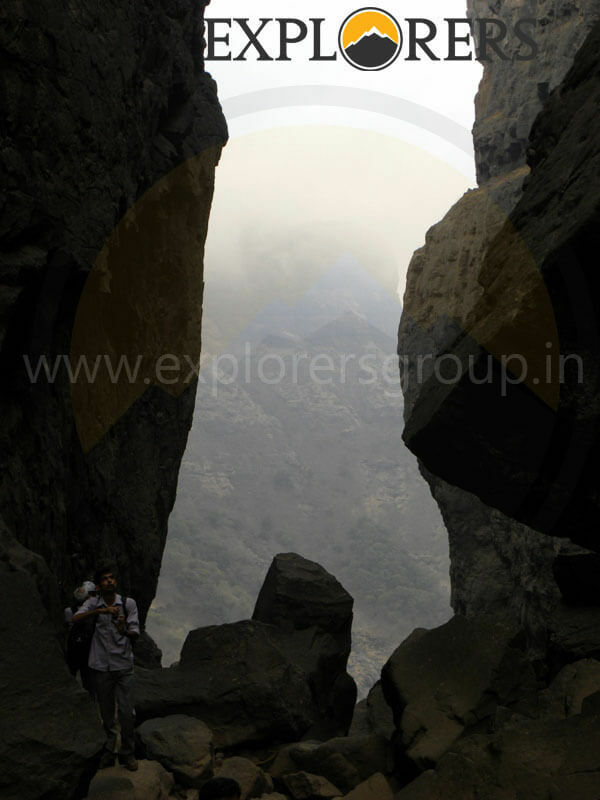 Departure Date & Time for Sandhan Valley Trek: Saturday by Sharp 11.30 pm from SP College, Tilak Road. 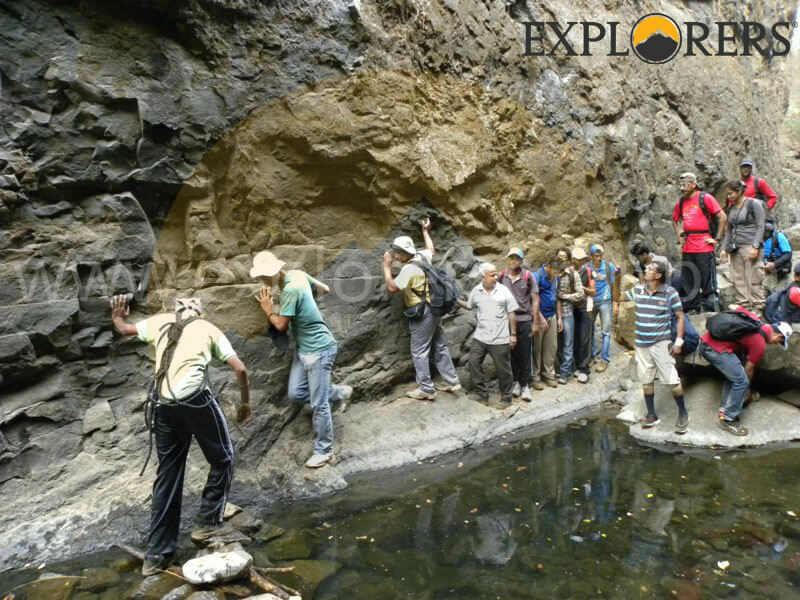 Arrival Date & Time for Sandhan Valley Trek: Sunday around 11.45 pm at SP College, Tilak Road. Reporting Time and Place for Sandhan Valley Trek: Saturday at SP College, Tilak Road by sharp 11.15 pm. Difficulty Level of Sandhan Valley Trek: Medium. 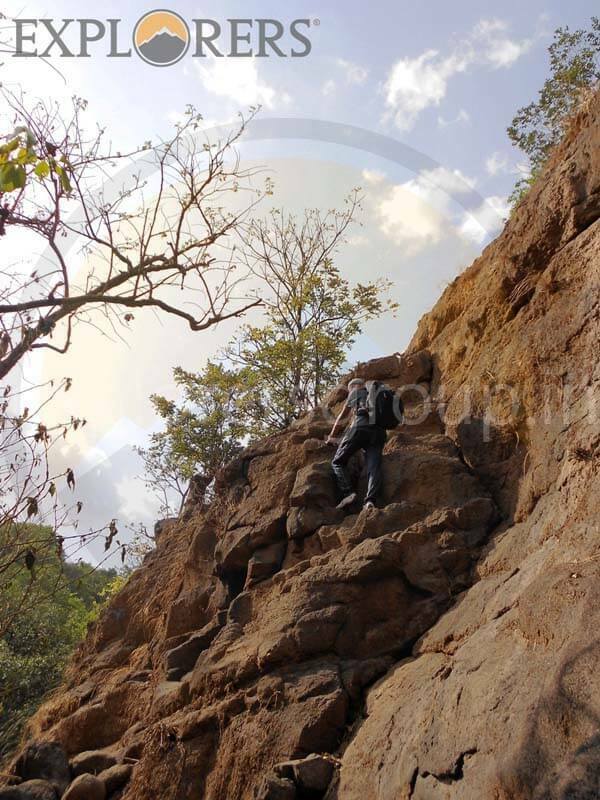 Endurance Level of Sandhan Valley Trek: High. 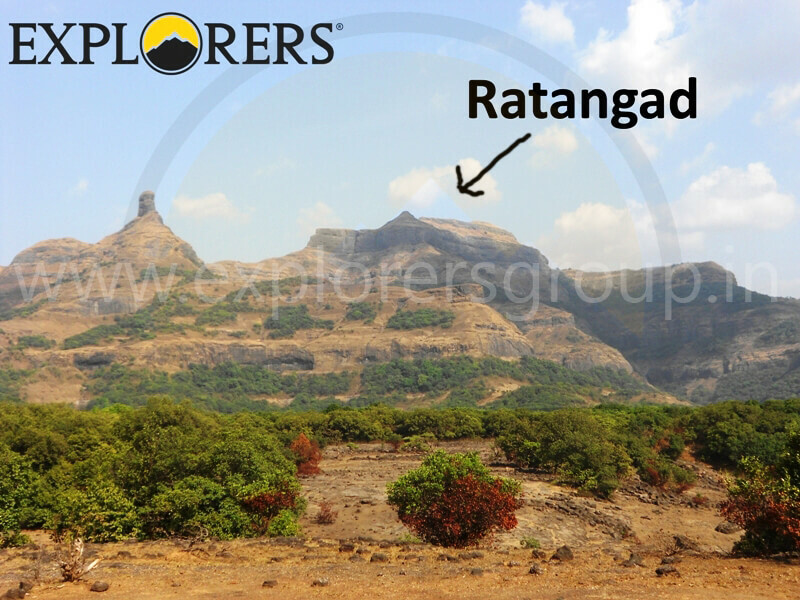 Route: Pune – Nashik Phata – Sangamner – Bhandardara – Samrad – Pune. After attendance bus will depart for Sandhan Valley Trek. Reach Samrad Village. Get fresh in base village only. After Tea & Breakfast Briefing about Trek. Collect the Adventure Equipments & Packed Lunch from Group Leader. Immediately start the trek. (3.5 Hrs). 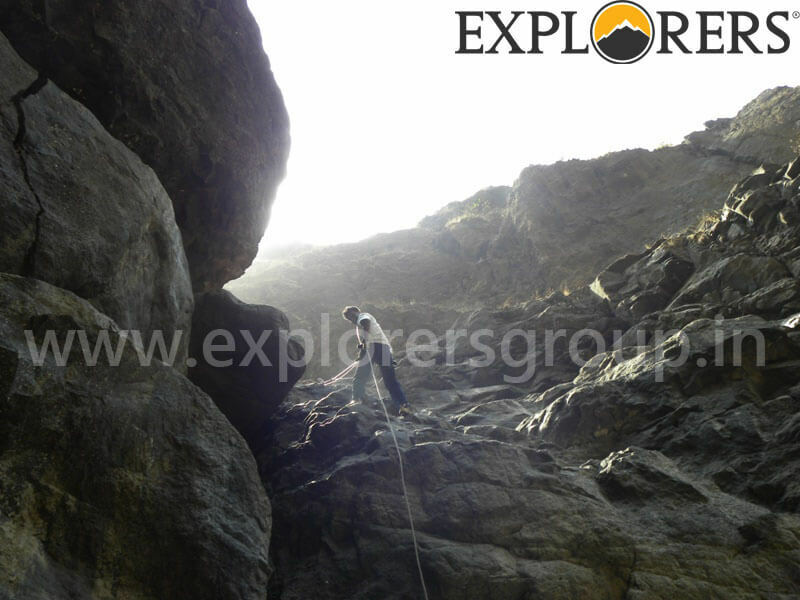 Please Bring Only Water Bottle, Napkin, and Pack Lunch & adventure Equipments given by Explorers. Start Rappelling. Follow all the Instructions given by Team Explorers. Learn about safety Techniques to be used in Rappelling. Reach in Valley. Have a Packed Lunch. 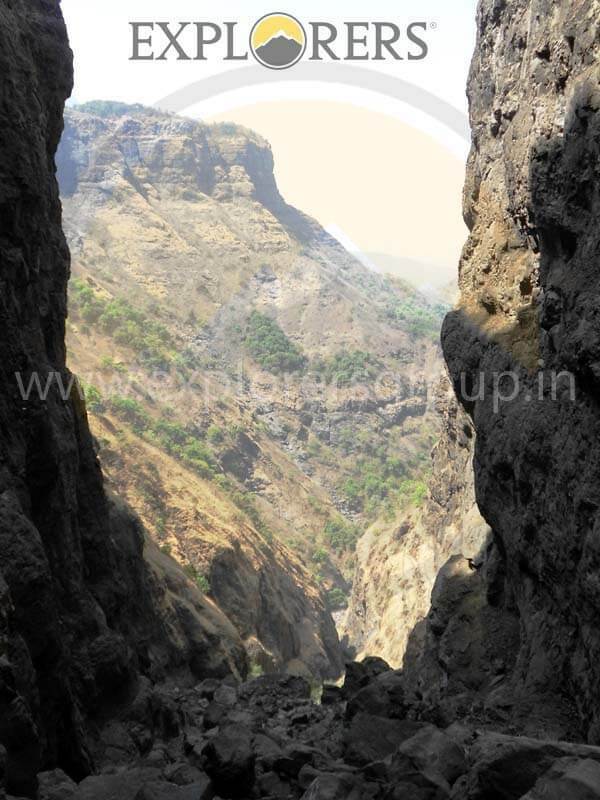 Start Ascending the Valley via Karoli Ghat around 3 Hours. Reach Samrad Village. Submit the equipment to the Leader. Any Loss or damage of equipment will be chargeable according to market Price. Reach SP Collage Tilak road, Pune via same route. We may Reach to pune by one hour before or after the given time. Morning Tea, Breakfast (Limited), Packed Lunch, Evening Tea, Dinner (Pure veg – Unlimited). 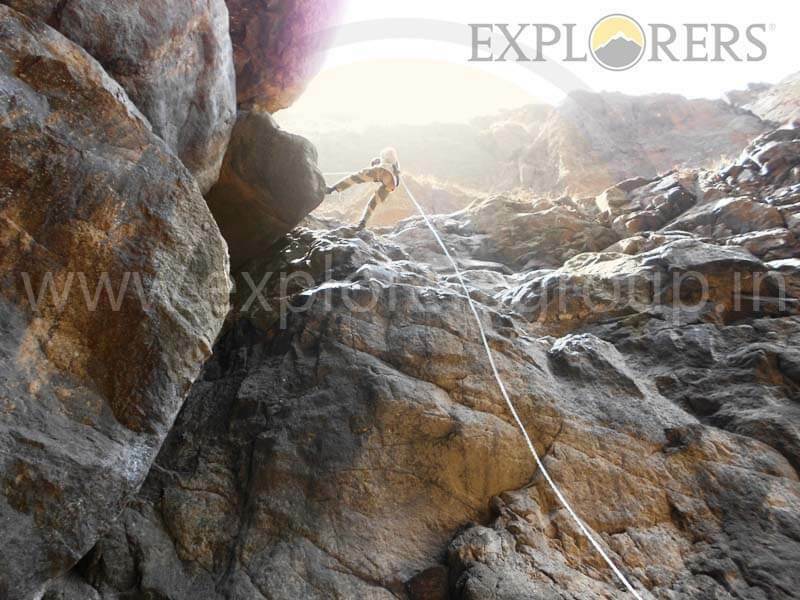 Adventure Equipments to each Participant Harness, Carabiner, Descender, Tape Sling, Mitten Pair etc. Don’t keep valuable things while Sandhan Valley trekking.